Remaining within budget is the key to planning your wedding and reception! Instead of paying extra for your invitations to arrive assembled, gather your bridal party and set up an assembly line. Make this a "Girl's Nite" with snacks, drinks, and music! Stick to the basics. 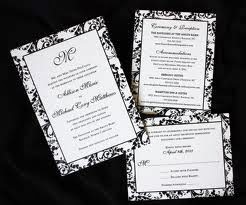 Forgo the colored ink and foil stamping on invitations and other printed materials. Guests are more concerned with the news of you getting married, not the color of the ink on the invitation. Printed menus on guest tables. Popular? Yes. Necessary? No. Some reception venues will create simple menus for you. Find out if your venue will provide that service. If not, create your own and find an online company that will print them for you at a reasonable price. Go to a crafts store for do-it-yourself invitation/program kits. With a computer and creativity, you can get inexpensive, one-of-a-kind results. Love the fancy look of a calligrapher? Save money by recruiting a pal with pretty penmanship for the task or download 'fancy' font! Order thank-you notes when you order your invites; you may receive bulk discounts by doing so. Have questions about the type of stationery that you should purchase? Need to know how to save even more? Want to remain within your budget? Call Me!